The HDC1080 Temperature+Humidity sensor allows you to use your HDC1080 (datasheet, adafruit) sensors with ESPHome. The I²C Bus is required to be set up in your configuration for this sensor to work. 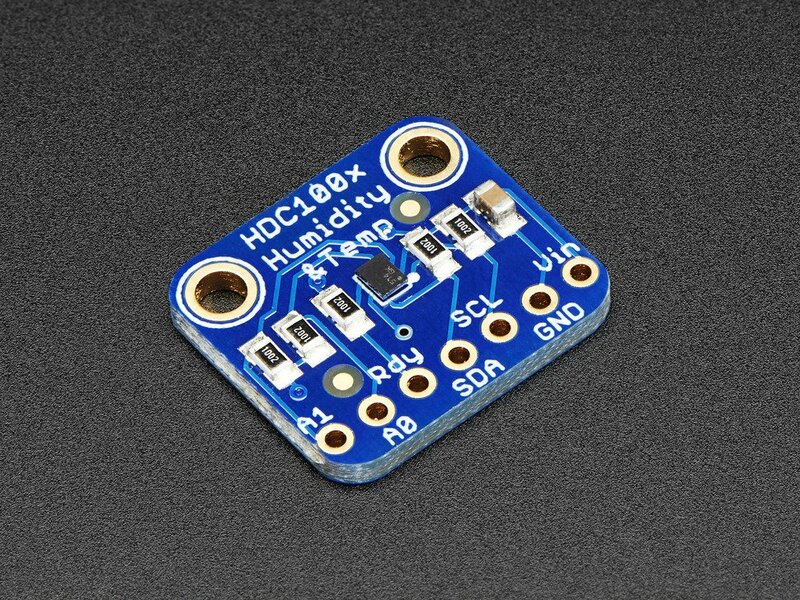 HDC1080 Temperature & Humidity Sensor. Image by Adafruit. Currently, the platform doesn’t support activating the built-in heater, as it seems to only be rarely of use. If you need it, please open an issue.